Peel the avocado half, then slice crosswise very thinly, keeping the avocado shape intact as you go. Starting from one end, fan out the sliced avocado in straight line, then curl into a rose shape. 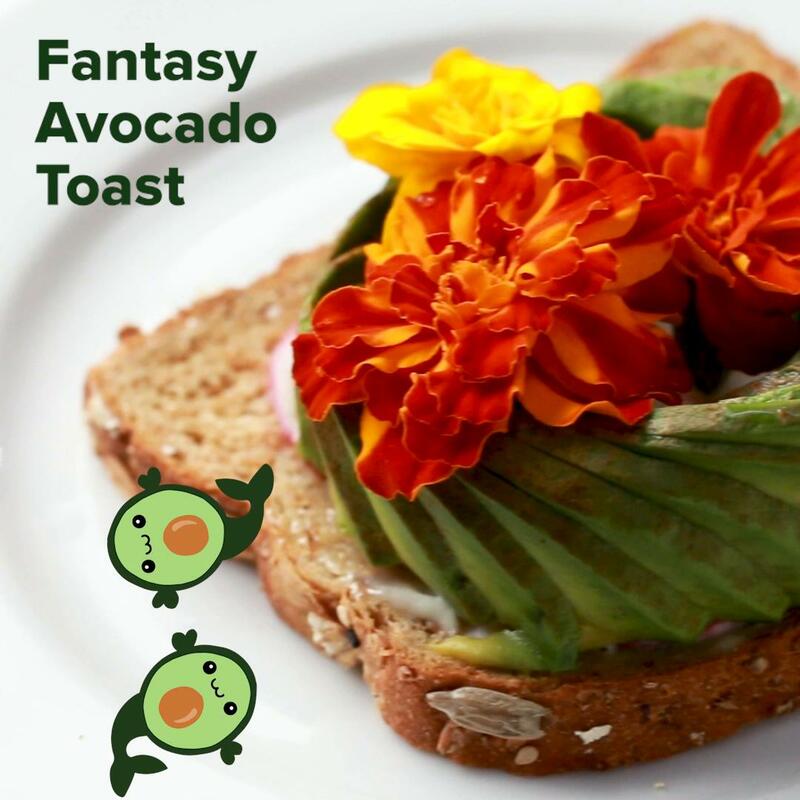 Carefully transfer the avocado rose to the slice of toast. Top with the pomegranate seeds.